Lossburg. Medtec Europe is regarded as a leading platform for medical technology. Leading suppliers and customers from the sector will come together in Stuttgart between 26 and 28 February 2013 to gain an insight into current developments and also take a look into the future. Arburg will be on hand as exhibitor with a high-end application on Stand 1H04, in Hall 1. 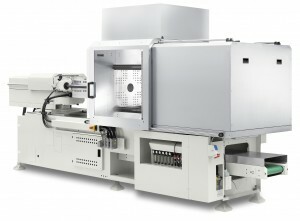 The electric Allrounder 370 A with a clamping force of 600 kN and size 70 injection unit will operate with a two-cavity mould from z-microsystems. This company produces customer-specific medical components for use in analysis and diagnostics (lab-on-a-chip and microfluidics). z-microsystems specialises in the production of prototypes in the development phase, through to small- and large-scale production. The stainless steel exhibit is GMP-compliant and is equipped with a clean air module, making it ideal for use in the medical technology sector. The clean room elements from Ionstatex indicate the system’s suitability for production under clean room conditions. So-called bottom layers for a lab-on-chip application will be produced as demonstration parts. The lab-on-a-chip will be completed with a top layer containing its own microchip for transporting liquids and displaying results. Lab-on-a-chip technology belongs to the field of microfluidics. Here, micro-injection moulding and medical technology combine to provide the smallest of units for immediate and fast analysis of liquids in large-scale production. For moulding of the microstructures on the layers, the highest mould and machine precision is of crucial importance. For this reason, Arburg prefers to use electric or hybrid machine technology in this area, completely satisfying the demands for evenness of the parts and reproducibility of production. In the case of the polycarbonate (PC) bottom layer presented at the Medtec, the part weight is 3.264 g with a shot weight of 7.98 grams and a cycle time of 24 seconds. As the dimensions of the lab-on-a-chip analysis units become smaller, it is generally predicted that microfluidics will play a major role in future medical technology. One of the possible areas of application in the medium term may be in the delivery of continuous analysis results, for example from patients with chronic illnesses.